A soft and bold package in one! 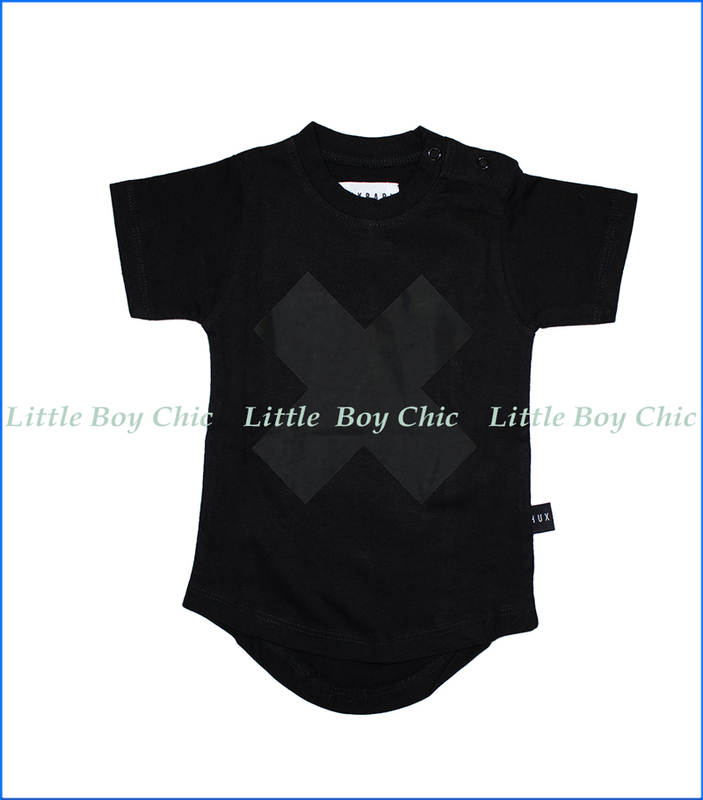 Super soft drop back tee with black-on-black cross print by Hux Baby. Unisex design will give these pants a long life. Small fit, we recommend sizing up. Pair with Huxbaby's grey Color Block Drop Crotch Pants; We recently chose Hux Baby to join our family of LittleBoyChic brands, due to its beautiful take on minimalist design principles with commitment to constructing its simply stylish pieces from quality and organic fabrics.